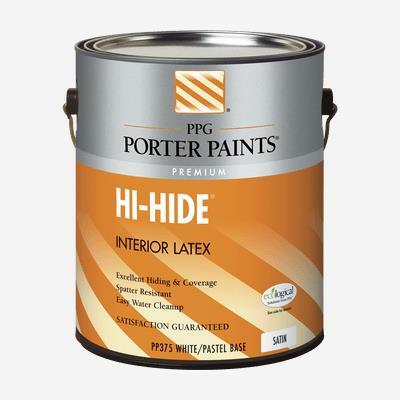 HI-HIDE® Interior Latex Wall Paint is a high quality interior latex wall paint. It is used for new or previously painted commercial, institutional and residential walls and ceilings in normal exposure. HI-HIDE® Interior Latex Wall Paint is also an excellent, user-friendly, high value wall paint for the “do-it-yourselfer” in many residential applications.